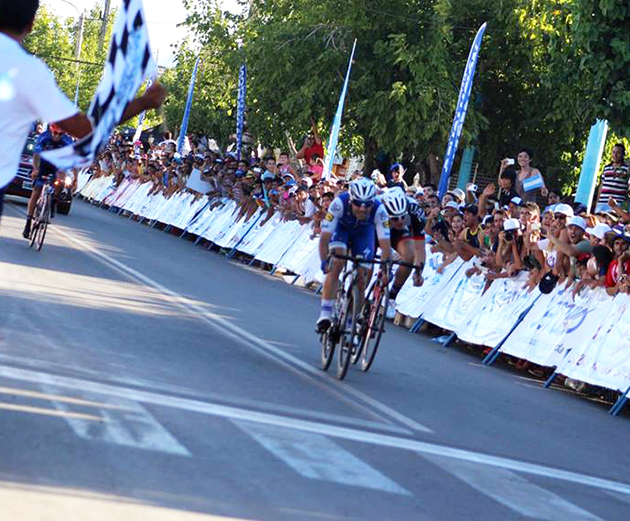 The race: Here's the report from stage winner Max Richeze's Quick Step team. 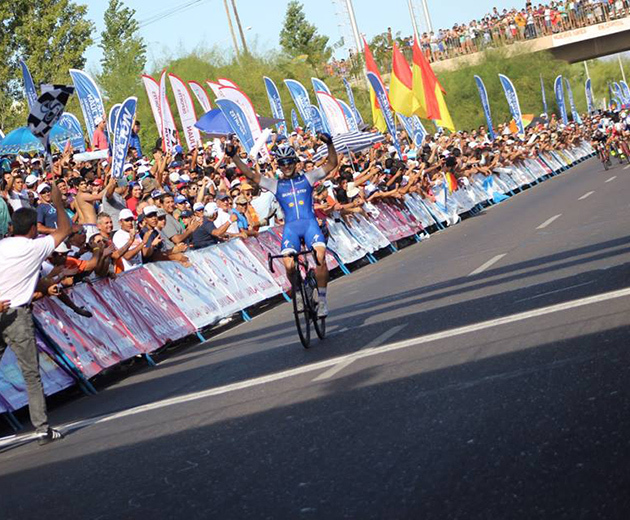 Our team concluded the race with five stage wins, the most recent being brought by home rider Maximiliano Richeze. First international edition of Vuelta a San Juan is one that will go down in history for Quick-Step Floors' incredible display of strength, which resulted in the team winning all the flat stages of the race. Fernando Gaviria was the one to kick off the fiesta, and was followed 24 hours later by Tom Boonen, who scored a victory in the pro ranks for the 16th consecutive year. Later in the week, Fernando added another success to his growing palmares, before Maximiliano Richeze took control of the spotlight on the final two days. After coming out on top from a day-long break in Pocito, the 33-year-old caught the peloton off-guard on stage 7, which was shortened just as the previous one because of the hot weather, with the mercury hitting again more than 40 degrees Celsius. On paper, the stage should have ended in a bunch sprint, and things were looking to go into that direction with three kilometers left, once the three-man breakaway was nullified. But several riders of the Continental teams had other plans and attacked, opening a 50-meter gap. Maximiliano Richeze covered those moves and with two kilometers to go found himself alone at the front, as the pack looked incapable of reacting. As a result, "El Atomico" soldiered on and went all the way to the finish, crossing the line for a fine solo win and punching the air in celebration. 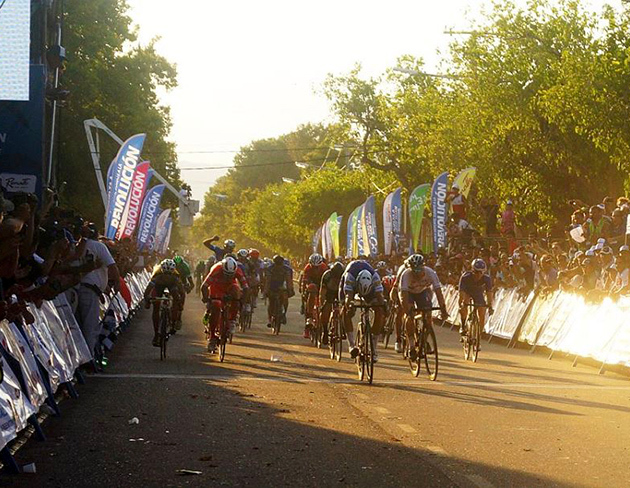 Three seconds later, the peloton arrived, and Tom Boonen came second, giving the team a 1-2 in San Juan stage 7. "Today, at the start of the stage, my legs weren't so good, as I was still tired after yesterday's huge effort and it was again a sweltering day, but fortunately I found again my good sensations during the stage. This morning, we decided to pull for Tom, and inside the final kilometers I was at the front, monitoring the attacks. I followed one to close it down, and when I turned my head I noticed that there was some daylight between us and the bunch, so I decided to push on", said Max Richeze after scoring the victory which makes Quick-Step Floors the most successful team of 2017 in terms of wins (6). "This success tastes different than the one of Saturday, because it came more as a surprise. I'm glad that I could seize the opportunity and give reasons to cheer to all these incredible fans. And what a race it's been for our team: we grabbed five stages here, we were always in the middle of the action and showed ourselves with every occasion. We can be proud of what we achieved and we hope to keep the momentum going and add more nice wins in the coming weeks", concluded Max at the end of the day. Besides the five stage victories, Quick-Step Floors Team had also other reasons to smile at the 35th Vuelta a San Juan: Pieter Serry finished 10th in the overall classification, while French neo-pro Rémi Cavagna showed glimpses of his potential by coming fourth in the individual time trial and wearing the best young rider jersey for two days. 3 MALUCELLI, Matteo ANDRONI GIOCATTOLI s.t. 4 GUARDINI, Andrea UAE ABU DHABI s.t. 5 RUFFONI, Nicola BARDIANI CSF s.t. 6 RIVERA, Jose L. MUNICIPALIDAD DE POCITO s.t. 7 NAVARDAUSKAS, Ramunas BAHRAIN-MERIDA s.t. 8 VIVIANI, Attilio ITALY s.t. 9 JUÁREZ, Daniel ASOCIACION CIVIL MARDAN s.t. 10 VIEL, Mattia UNIEURO TREVIGIANI-HEMU s.t. 11 ESCUELA, Ricardo A.C. VIRGEN DE FATIMA s.t. 12 TIVANI, Gerardo M. MUNICIPALIDAD DE POCITO s.t. 13 MAGALLANES, Juan MEXICO s.t. 14 MARINI, Nicolas NIPPO-VINI FANTINI s.t. 15 RAMIREZ, Alan G. MUNICIPALIDAD DE RAWSON s.t. 16 PAEZ, Andres D. MUNICIPALIDAD DE RAWSON s.t. 17 GADAY, Lucas LOS CASCOS ESCO-AGROPLA s.t. 18 MAESTRI, Mirco BARDIANI CSF s.t. 19 RODRIGUEZ, Willier ITALOMAT-DOGO s.t. 20 TROIA, Oliviero UAE ABU DHABI s.t. 21 CORELLA, Rene MEXICO s.t. 22 ROSAS, Laureano ARGENTINA s.t. 23 SEVILLA, Oscar M. MEDELLIN-INDER s.t. 24 REIS, Rafael CAJA RURAL-SEGUROS RGA s.t. 25 DA SILVA, Emerson BRAZIL s.t. 26 MOLLEMA, Bauke TREK-SEGAFREDO s.t. 27 GAVIRIA, Fernando QUICK-STEP s.t. 28 MOLINA, Antonio CAJA RURAL-SEGUROS RGA s.t. 29 CHAMORRO, Ramon ARGENTINA s.t. 30 CAVAGNA, Rémi QUICK-STEP s.t. 31 ANCHIERI, Pablo URUGUAY s.t. 32 SERRY, Pieter QUICK-STEP s.t. 33 SIUTSOU, Kanstantsin BAHRAIN-MERIDA s.t. 34 CABRERA, Antonio CHILE s.t. 35 TORRES, Rodolfo ANDRONI GIOCATTOLI s.t. 36 SCARTEZZINI, Michele ITALY s.t. 37 DE LUNA, Flavio MEXICO s.t. 38 SEPULVEDA, Eduardo ARGENTINA s.t. 39 MOYANO, Enzo MUNICIPALIDAD DE POCITO s.t. 40 BERNAL, Jaime ITALOMAT-DOGO s.t. 41 STACCHIOTTI, Riccardo NIPPO-VINI FANTINI s.t. 42 GOMEZ, Matias URUGUAY s.t. 43 KEOUGH, Luke UNITED HEALTHCARE s.t. 44 COSTA, Rui Alberto UAE ABU DHABI s.t. 45 MONTIVERO, Luciano A.C. VIRGEN DE FATIMA s.t. 46 OYOLA, Robigzon L. MEDELLIN-INDER s.t. 47 MONTOYA, Javier I. MEDELLIN-INDER s.t. 48 BARRIENTOS, Julian BOLIVIA s.t. 49 NIBALI, Vincenzo BAHRAIN-MERIDA s.t. 50 JARAMILLO, Daniel A. UNITED HEALTHCARE s.t. 51 BERNAL, Egan Arley ANDRONI GIOCATTOLI s.t. 52 AMEZQUETA, Julen WILIER TRIESTINA s.t. 53 AZZEM, Omar S. LOS CASCOS ESCO-AGROPLA s.t. 54 POZZATO, Filippo WILIER TRIESTINA s.t. 55 DAMATIA, Luan ITALOMAT-DOGO s.t. 56 AGUIRRE, Juan M. LOS CASCOS ESCO-AGROPLA s.t. 57 RAMOS, Ruben ARGENTINA s.t. 58 DOTTI, Juan Pablo SEP-SAN JUAN s.t. 59 FRAPPORTI, Marco ANDRONI GIOCATTOLI s.t. 60 HAEDO, Lucas S. UNITED HEALTHCARE s.t. 61 ARREDONDO, Julian D. NIPPO-VINI FANTINI s.t. 62 PELLIZOTTI, Franco BAHRAIN-MERIDA s.t. 63 JAVIER, Gaston E. SEP-SAN JUAN s.t. 64 NAJAR, Gonzalo J. SEP-SAN JUAN s.t. 65 NIEMIEC, Przemyslaw UAE ABU DHABI s.t. 66 CORBALAN, Joaquin CHILE s.t. 67 AGNOLI, Valerio BAHRAIN-MERIDA s.t. 68 BOARO, Manuele BAHRAIN-MERIDA s.t. 69 BELLETTI, Manuel WILIER TRIESTINA s.t. 70 GUEVARA, Emmanuel D. MUNICIPALIDAD DE RAWSON s.t. 71 MASNADA, Fausto ANDRONI GIOCATTOLI s.t. 72 JULIO, Ricardo MUNICIPALIDAD DE POCITO s.t. 73 SANTAROMITA, Ivan NIPPO-VINI FANTINI s.t. 74 CORTE, Eduardo MEXICO s.t. 75 LASTRA, Jonathan CAJA RURAL-SEGUROS RGA s.t. 76 RODRIGUEZ, Leonardo ASOCIACION CIVIL MARDAN s.t. 78 RAMIREZ, Brayan S. MEDELLIN-INDER s.t. 79 VARGAS, Walter A. MEDELLIN-INDER s.t. 80 MULLER, Mauricio SEP-SAN JUAN s.t. 81 GONZALEZ, Diego URUGUAY s.t. 82 FRAYRE, Eder MEXICO s.t. 83 GANNA, Filippo UAE ABU DHABI s.t. 84 CEPEDA, Jefferson BOLIVIA s.t. 85 KUBOKI, Kazushige NIPPO-VINI FANTINI s.t. 86 GUTIERREZ, Alexander URUGUAY s.t. 87 BRAVO, Edison CHILE s.t. 88 CABRERA, Carlos URUGUAY s.t. 89 ZAMORA, Daniel A.C. VIRGEN DE FATIMA s.t. 90 IBARRA, Emiliano SEP-SAN JUAN s.t. 91 RANGEL, Hecto H. MEXICO s.t. 95 TIVANI, German N. UNIEURO TREVIGIANI-HEMU s.t. 97 FERNANDEZ, Emiliano ASOCIACION CIVIL MARDAN s.t. 107 GADAY, Julian P. LOS CASCOS ESCO-AGROPLA s.t. 108 SOAREZ D.L., Nahuel URUGUAY s.t. 109 GONZALEZ, Nicolas CHILE s.t. 111 RAVANELLI, Simone UNIEURO TREVIGIANI-HEMU s.t. 112 CHOLAKOV, Stanimir UNIEURO TREVIGIANI-HEMU s.t. 113 DRAPERI, Matteo WILIER TRIESTINA s.t. 114 NARANJO, Nicolás A.C. VIRGEN DE FATIMA s.t. 115 LOPEZ, Franco G. A.C. VIRGEN DE FATIMA s.t. 123 LUCERO, Héctor MUNICIPALIDAD DE POCITO s.t. 20 PELLIZOTTI, Franco BAHRAIN-MERIDA s.t. The race: Here's the story from stage winner Maximiliano Richeze's Quick Step team. 33-year-old Maximliano Richeze made it four victories in six stages for Quick-Step Floors at the South American race. Crazy, spectacular and epic! Three words which fittingly describe the sixth and penultimate stage of Vuelta a San Juan, Argentina's oldest and most important cycling race. Saturday, extreme temperatures awaited the riders right from the start of the stage which passed not far off the Difunta Correa shrine, which is visited by thousands and thousands of people every year, as miracles are said to have occurred there since the first half of the 19th century. The out-and-back course in Pocito was initially 185.7km-long, but it was cut by 17 kilometers due to the hot weather. At the moment the decision was taken, a huge break was at the front, with a 6-minute gap over the peloton. Among the riders to get involved in the day's move was also Quick-Step Floors' Maximiliano Richeze, a stage winner at Vuelta a San Juan in 2005 and 2007. Richeze, who on the previous stages brought his contribution to the wins of Fernando Gaviria and Tom Boonen, was the heart of the escape, and at the same time the man who split the group inside the final 60 kilometers, with a savvy attack which saw just two riders respond: German Nicolas Tivani (Unieuro Trevigiani) and Oliveiro Troia (UAE Abu Dhabi). The trio took one minute on the former breakaway companions and with every pedal continued to extend that advantage, to the point it became obvious the stage win will be played between them. Tivani tried to surprise the others with three kilometers left, but Max quickly responded, and soon it all turned into a cat and mouse game as the finish line approached. Same Tivani was the one to open the sprint, but "El Atomico" Richeze was attentive and patiently bided his time before accelerating and taking a hard-fought win (number 125 for the home nation at the Argentinean race which this year celebrates its 35th edition) ahead of Troia and his countryman. It was the team's fourth victory at the South American race, which ensured Quick-Step Floors' moveable feast continues in San Juan, and Max's first on home turf since 2008: "This morning, at the team briefing, we decided to go for a bunch sprint, but Brama told me that if more than eight riders make it into the break, then I am to join them and give the team an easy day after what has been a hard week. It was a tough and terrible stage because of the heat, and I arrived at the finish in Pocito completely drained, but with a big smile on my face." "Winning here gives me huge joy, one year after wearing the leader's jersey at the Tour de San Luis. I love the trust of the team and I want to thank them for believing in me. My job was to work for Fernando and Tom, and to get such an opportunity really meant a lot for me. It's a great day not only because it was the Difunta Correa stage – which is very important for the Argentinean people – but also because my brothers are here in the race, while my mother and father came at the finish, and to share this victory with them is something very special", concluded Max Richeze, the fourth Quick-Step Floors Team rider to get a win in 2017. 2 TROIA, Oliviero UAE ABU DHABI s.t. 3 TIVANI, German N. UNIEURO TREVIGIANI-HEMU s.t. 5 BELLETTI, Manuel WILIER TRIESTINA s.t. 7 VIEL, Mattia UNIEURO TREVIGIANI-HEMU s.t. 8 NAVARDAUSKAS, Ramunas BAHRAIN-MERIDA s.t. 9 MARINI, Nicolas NIPPO-VINI FANTINI s.t. 10 KEOUGH, Luke UNITED HEALTHCARE s.t. 11 CAVAGNA, Rémi QUICK-STEP s.t. 12 JUÁREZ, Daniel ASOCIACION CIVIL MARDAN s.t. 13 ESCUELA, Ricardo A.C. VIRGEN DE FATIMA s.t. 14 RODRIGUEZ, Willier ITALOMAT-DOGO s.t. 15 ROSAS, Laureano ARGENTINA s.t. 16 DA SILVA, Emerson BRAZIL s.t. 17 GUARDINI, Andrea UAE ABU DHABI s.t. 18 SEVILLA, Oscar M. MEDELLIN-INDER s.t. 19 DE LUNA, Flavio MEXICO s.t. 20 GADAY, Julian P. LOS CASCOS ESCO-AGROPLA s.t. 21 MOLLEMA, Bauke TREK-SEGAFREDO s.t. 22 TORRES, Rodolfo ANDRONI GIOCATTOLI s.t. 23 BARRIENTOS, Julian BOLIVIA s.t. 24 CORBALAN, Joaquin CHILE s.t. 25 GADAY, Lucas LOS CASCOS ESCO-AGROPLA s.t. 26 DAMATIA, Luan ITALOMAT-DOGO s.t. 27 LUCERO, Héctor MUNICIPALIDAD DE POCITO s.t. 28 ANGARITA, Marvin O. BOLIVIA s.t. 29 SERRY, Pieter QUICK-STEP s.t. 30 RAMIREZ, Alan G. MUNICIPALIDAD DE RAWSON s.t. 31 MAGALLANES, Juan P. MEXICO s.t. 32 CORELLA, Rene MEXICO s.t. 33 COSTA, Rui Alberto UAE ABU DHABI s.t. 34 RODRIGUEZ, Leonardo ASOCIACION CIVIL MARDAN s.t. 35 MULLER, Mauricio SEP-SAN JUAN s.t. 36 GONZALEZ, Diego URUGUAY s.t. 37 GOMEZ, Matias URUGUAY s.t. 38 MOLINA, Antonio CAJA RURAL-SEGUROS RGA s.t. 39 HAEDO, Lucas S. UNITED HEALTHCARE s.t. 40 NIBALI, Vincenzo BAHRAIN-MERIDA s.t. 41 SCARTEZZINI, Michele ITALY s.t. 42 STACCHIOTTI, Riccardo NIPPO-VINI FANTINI s.t. 43 SEPULVEDA, Eduardo ARGENTINA s.t. 44 SIUTSOU, Kanstantsin BAHRAIN-MERIDA s.t. 45 CHOLAKOV, Stanimir UNIEURO TREVIGIANI-HEMU s.t. 46 TURRIN, Alex WILIER TRIESTINA s.t. 47 RAVANELLI, Simone UNIEURO TREVIGIANI-HEMU s.t. 48 BOONEN, Tom QUICK-STEP s.t. 49 BERNAL, Egan Arley ANDRONI GIOCATTOLI s.t. 50 MOYANO, Enzo MUNICIPALIDAD DE POCITO s.t. 51 MONTOYA, Javier I. MEDELLIN-INDER s.t. 52 ANCHIERI, Pablo URUGUAY s.t. 53 RUFFONI, Nicola BARDIANI CSF s.t. 54 REIS, Rafael CAJA RURAL-SEGUROS RGA s.t. 55 JONES, Christopher UNITED HEALTHCARE s.t. 56 CHAMORRO, Ramon ARGENTINA s.t. 57 OYOLA, Robigzon L. MEDELLIN-INDER s.t. 59 PELLIZOTTI, Franco BAHRAIN-MERIDA s.t. 60 NIEMIEC, Przemyslaw UAE ABU DHABI s.t. 61 RAMOS, Ruben ARGENTINA s.t. 62 DRAPERI, Matteo WILIER TRIESTINA s.t. 63 MONTIVERO, Luciano A.C. VIRGEN DE FATIMA s.t. 64 PACINOTTI, Niccolo BARDIANI CSF s.t. 65 BERNAL, Jaime ITALOMAT-DOGO s.t. 66 ARREDONDO, Julian NIPPO-VINI FANTINI s.t. 67 JAVIER, Gaston E. SEP-SAN JUAN s.t. 68 JULIO, Ricardo MUNICIPALIDAD DE POCITO s.t. 69 FRAPPORTI, Marco ANDRONI GIOCATTOLI s.t. 70 JARAMILLO, Daniel A. UNITED HEALTHCARE s.t. 71 GUTIERREZ, Alexander URUGUAY s.t. 72 BENITO, Miguel Angel CAJA RURAL-SEGUROS RGA s.t. 73 LASTRA, Jonathan CAJA RURAL-SEGUROS RGA s.t. 74 AMEZQUETA, Julen WILIER TRIESTINA s.t. 75 GANNA, Filippo UAE ABU DHABI s.t. 77 GUEVARA, Emmanuel MUNICIPALIDAD DE RAWSON s.t. 79 CEPEDA, Jefferson BOLIVIA s.t. 80 VIVIANI, Attilio ITALY s.t. 81 PAEZ, Andres D. MUNICIPALIDAD DE RAWSON s.t. 82 MASNADA, Fausto ANDRONI GIOCATTOLI s.t. 83 AGUIRRE, Juan M. LOS CASCOS ESCO-AGROPLA s.t. 84 DECLERCQ, Tim QUICK-STEP s.t. 85 RICHEZE, Mauro A. A.C. VIRGEN DE FATIMA s.t. 86 AGNOLI, Valerio BAHRAIN-MERIDA s.t. 87 OLIVARES, Victor CHILE s.t. 88 ZAMORA, Daniel A.C. VIRGEN DE FATIMA s.t. 89 SIGURA, César LOS CASCOS ESCO-AGROPLA s.t. 90 VARGAS, Walter A. MEDELLIN-INDER s.t. 91 GODOY, Yonder WILIER TRIESTINA s.t. 92 RANGEL, Hecto H. MEXICO s.t. 93 AZZEM, Omar S. LOS CASCOS ESCO-AGROPLA s.t. 95 SARTASSOV, Andrei SEP-SAN JUAN s.t. 96 SANTAROMITA, Ivan NIPPO-VINI FANTINI s.t. 97 MOLINA, Juan R. ARGENTINA s.t. 98 POZZATO, Filippo WILIER TRIESTINA s.t. 99 FERNANDEZ, Emiliano ASOCIACION CIVIL MARDAN s.t. 100 RAMIREZ, Brayan S. MEDELLIN-INDER s.t. 101 VEGA, Sergio UNIEURO TREVIGIANI-HEMU s.t. 102 NAJAR, Gonzalo J. SEP-SAN JUAN s.t. 103 SAQUILAN, Alejandro ASOCIACION CIVIL MARDAN s.t. 104 CABRERA, Carlos URUGUAY s.t. 105 GONZÁLEZ, Pedro MUNICIPALIDAD DE POCITO s.t. 106 SOAREZ D.L., Nahuel URUGUAY s.t. 108 NARANJO, Nicolás A.C. VIRGEN DE FATIMA s.t. 109 LOPEZ, Franco G. A.C. VIRGEN DE FATIMA s.t. 110 PRADO, Ignacio SEP-SAN JUAN s.t. 111 ALZATE, Carlos E. UNITED HEALTHCARE s.t. 112 TRILLINI, Sebastian ITALOMAT-DOGO s.t. 114 BRAVO, Edison CHILE s.t. 115 CABRERA, Antonio CHILE s.t. 116 KUBOKI, Kazushige NIPPO-VINI FANTINI s.t. 117 SARTOR, Federico ITALY s.t. 118 GAVIRIA, Fernando QUICK-STEP s.t. 119 COLEDAN, Marco TREK-SEGAFREDO s.t. 121 DANIEL, Gregory TREK-SEGAFREDO s.t. 123 LAMON, Francesco ITALY s.t. 133 GONZALEZ, Nicolas CHILE s.t. 36 OYOLA, Robigzon L. MEDELLIN-INDER s.t. 70 TIVANI, German N. UNIEURO TREVIGIANI-HEMU s.t. 86 COLEDAN, Marco TREK-SEGAFREDO s.t. The race: Here's the report from stage winner Rui Costa's UAE Abu Dhabi team. Who else could have obtained the victory "number 1" in Team UAE's history but the world champion in Florence 2013 Rui Costa? 23 days after the press conference which launched the activity of the team, where the Portuguese rider stated that his goal was to give as many satisfactions as possible to the president of the team Matar and to the United Arab Emirates, Rui Costa won the 4th stage of the Vuelta de San Juan (photo Bettini). On the summit arrival on the Alto Colorado, at the end of a course of 162.4 km (start from Chimbas) and after the ascents of the Alto de Villicum (3rd category, 56 km in the race, 1070 mt altitude), of the Banos de Talaca (2nd category, 100 km, 1400 mt altitude) and of the Alto de la Crucecita (2nd category, 114,7 km, 1752 mt altitude), Rui Costa preceded Torres (+2"), Escuela (+7"), Sevilla (+10") and the new leader of the general classification Mollema (+12"). The Portuguese from Team UAE was brilliant on the final climb and he could be in the selected leading group with Torres, Escuela, Sevilla and Mollema; he preceded Torres in a sprint, obtaining the 23rd victory as pro. 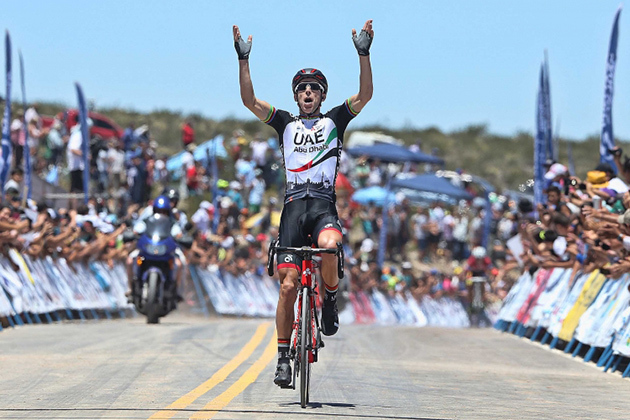 "This victory has a special taste and it makes me doubly happy: I'm very satisfied to have obtain a succees after the 2016 season during which I was several times close to the first place and I'm glad I could give to Team UAE and to the sponsors the first historic victory - Rui Costa explained - This succees in very special also because it was not easy to obtain, considering that the stage was very demanding, we raced at a high altitude and we faced the wind and the heat. The opponents were very competitive, in the final kilometers the energies were almost over for everybody, however I managed to still have strong legs in the last kilometer and I could reach the final meters with Torres, beating him in the sprint: I was so happy when I realized he could not follow me". Team UAE's cyclists were protagonists before the final climb, when Niemiec joined the first breakaway of the stage with other 17 riders. Their action was later neutralized and two other cyclists from the Emirati team (Ganna and Troia) attacked, pedaling in the new leading group of 18 riders. The peloton bridged the gap before the final climb. Bauke Mollema (Trek-Segafredo) is now the GC leader. 7 SEPULVEDA, Eduardo ARGENTINA s.t. 10 NIBALI, Vincenzo BAHRAIN-MERIDA s.t. 15 MOYANO, Enzo MUNICIPALIDAD DE POCITO s.t. 17 BARRIENTOS, Julian BOLIVIA s.t. 19 JARAMILLO, Daniel A. UNITEDHEALTHCARE s.t. 22 SANTAROMITA, Ivan NIPPO-VINI FANTINI s.t. 23 DOTTI, Juan Pablo SEP-SAN JUAN s.t. 29 SIUTSOU, Kanstantsin BAHRAIN-MERIDA s.t. 30 JONES, Christopher UNITEDHEALTHCARE s.t. 37 LASTRA, Jonathan CAJA RURAL-SEGUROS RGA s.t. 38 DE LUNA, Flavio MEXICO s.t. 39 PARDILLA, Sergio CAJA RURAL-SEGUROS RGA s.t. 41 RICHEZE, Maximiliano QUICK STEP s.t. 42 OYOLA, Robigzon L. MEDELLIN-INDER s.t. 45 GAVAZZI, Francesco ANDRONI GIOCATTOLI s.t. 48 DECLERCQ, Tim QUICK STEP s.t. 49 MASNADA, Fausto ANDRONI GIOCATTOLI s.t. 50 CAVAGNA, Rémi QUICK STEP s.t. 52 POZZATO, Filippo WILIER TRIESTINA s.t. 53 FRAYRE, Eder MEXICO s.t. 54 ROTA, Lorenzo BARDIANI CSF s.t. 55 DANIEL, Gregory TREK-SEGAFREDO s.t. 56 TURRIN, Alex WILIER TRIESTINA s.t. 58 GAVIRIA, Fernando QUICK STEP s.t. 59 TRILLINI, Sebastian ITALOMAT-DOGO s.t. 60 RAMIREZ, Alan G. MUNICIPALIDAD DE RAWSON s.t. 63 GUEVARA, Emmanuel D. MUNICIPALIDAD DE RAWSON s.t. 65 BRANDLE, Matthias TREK-SEGAFREDO s.t. 66 KUBOKI, Kazushige NIPPO-VINI FANTINI s.t. 70 MAESTRI, Mirco BARDIANI CSF s.t. 73 KEOUGH, Luke UNITEDHEALTHCARE s.t. 77 BENITO, Miguel Angel CAJA RURAL-SEGUROS RGA s.t. 79 TIVANI, German N. UNIEURO TREVIGIANI-HEMU s.t. 80 JUÁREZ, Daniel ASOCIACION CIVIL MARDAN s.t. 81 ALZATE, Carlos E. UNITEDHEALTHCARE s.t. 84 SOAREZ D.L., Nahuel URUGUAY s.t. 88 GONZÁLEZ, Pedro MUNICIPALIDAD DE POCITO s.t. 89 VIEL, Mattia UNIEURO TREVIGIANI-HEMU s.t. 91 RIVERA, Jose L. MUNICIPALIDAD DE POCITO s.t. 92 RICHEZE, Adrian A.C. VIRGEN DE FATIMA s.t. 93 COLEDAN, Marco TREK-SEGAFREDO s.t. 94 VIVIANI, Attilio SEL. ITALIA s.t. 95 VEGA, Sergio UNIEURO TREVIGIANI-HEMU s.t. 97 LOPEZ, Franco G. A.C. VIRGEN DE FATIMA s.t. 101 MARINI, Nicolas NIPPO-VINI FANTINI s.t. 105 GONZALEZ, Diego URUGUAY s.t. 106 CORBALAN, Joaquin SEL. CHILE s.t. 107 GOMEZ, Matias URUGUAY s.t. 108 ARROYO, Victor ASOCIACION CIVIL MARDAN s.t. 109 DA PAIXO, Felipe BRAZIL s.t. 110 GADAY, Lucas LOS CASCOS ESCO - AGROPLA s.t. 111 PONCIANO, Edson BRAZIL s.t. 112 FERNANDEZ, Emiliano ASOCIACION CIVIL MARDAN s.t. 113 PEÑALOSA, Felipe SEL. CHILE s.t. 114 PACINOTTI, Niccolo BARDIANI CSF s.t. 115 AMURRIO, Carlos BOLIVIA s.t. 116 RODRIGUEZ, Willier ITALOMAT-DOGO s.t. 117 GUARDINI, Andrea UAE ABU DHABI s.t. 118 DAMATIA, Luan ITALOMAT-DOGO s.t. 119 PLEBANI, Davide SEL. ITALIA s.t. 120 GONZALBEZ, Iñaky ITALOMAT-DOGO s.t. 121 SIGURA, César LOS CASCOS ESCO - AGROPLA s.t. 122 OLIVARES, Victor SEL. CHILE s.t. 123 RODRIGUEZ, Leonardo ASOCIACION CIVIL MARDAN s.t. 124 LAMON, Francesco SEL. ITALIA s.t. 125 RANGEL, Hecto H. MEXICO s.t. 126 CHAMORRO, Fco. Ramon ARGENTINA s.t. 127 CABRERA, Antonio SEL. CHILE s.t. 128 CHOLAKOV, Stanimir UNIEURO TREVIGIANI-HEMU s.t. 129 MALUCELLI, Matteo ANDRONI GIOCATTOLI s.t. 130 SAQUILAN, Alejandro ASOCIACION CIVIL MARDAN s.t. 131 GONZALEZ, Nicolas SEL. CHILE s.t. 132 RUFFONI, Nicola BARDIANI CSF s.t. 133 NAVARRETE, Maximiliano ARGENTINA s.t. 135 CENGHIALTA, Riccardo UNIEURO TREVIGIANI-HEMU s.t. 140 GADAY, Julian P. LOS CASCOS ESCO - AGROPLA s.t. 37 OYOLA, Robigzon L. MEDELLIN-INDER s.t. 39 SCARTEZZINI, Michele SEL. ITALIA s.t. 71 TROIA, Oliviero UAE ABU DHABI s.t. Fernando Gaviria wins another stage. The Race: Here's the report from stage winner Fernando Gaviria's Quick Step team. 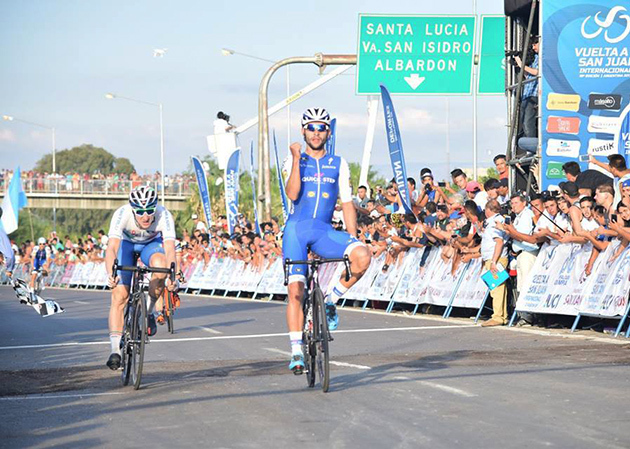 Fernando Gaviria doubled his tally at Vuelta a San Juan, for the team's fourth win of the season. Having dominated the previous two bunch sprints in the Argentinean race, Quick-Step Floors was the big favourite in stage 4, a flat 160-kilometer one, starting and finishing in the town of San Martin. As a result, our squad took the reins in the peloton, and together with the Italian National Team and Trek-Segafredo kept the 13-man breakaway on a leash, making sure the gap doesn't go too far north of five minutes. Inside the last 25 kilometers, the peloton really began to chew into the escapees' advantage, bringing the gap down to around one minute with 10 kilometers left. The finale was a chaotic one, but Quick-Step Floors' lead-out train lived up to the expectations once more and took the front when it mattered, paving the way for Fernando Gaviria, who out-sprinted Elia Viviani (Italian National Team) and Nicola Ruffoni (Bardiani-CSF), thus taking his second victory of the year. "It was another nice day for us, and the team did a perfect job again. They controlled every single aspect of the race and I was glad to finish off their work and score another victory in San Juan", said Fernando, who was asked by the media for the reason behind his celebration gesture. "While in Denia, I lost my bracelet, which was a gift from my girlfriend. To remind me of it and of Valentina, who's always supporting me, I kiss my wrist every time I win a race." Stage 5, which will see Quick-Step Floors Team's neo-pro Rémi Cavagna wear for the second day in a row the green jersey that rewards the best young rider in the race, is the most difficult of the Vuelta a San Juan, as it climbs four categorized ascents, including Alto Colorado, which comes right at the finish. Even though it isn't a stage to suit him, Fernando hasn't any plans to rest tomorrow: "Every single thing we are doing here is important for the races that will come later in the season. Of course, I don't stand a chance tomorrow against the climbers, but I won't take an off day; instead, I'll try to help my teammates and use this stage as preparation for the future." 2 VIVIANI, Elia SEL. ITALIA s.t. 3 RUFFONI, Nicola BARDIANI CSF s.t. 4 BELLETTI, Manuel WILIER TRIESTINA s.t. 5 KEOUGH, Luke UNITEDHEALTHCARE P.C.T. s.t. 6 GUARDINI, Andrea UAE ABU DHABI s.t. 7 ALZATE, Carlos E. UNITEDHEALTHCARE P.C.T. s.t. 8 COLEDAN, Marco TREK - SEGAFREDO s.t. 9 ROSAS, Laureano SEL. ARGENTINA s.t. 10 NAVARDAUSKAS, Ramunas BAHRAIN - MERIDA s.t. 11 GADAY, Julian P. LOS CASCOS ESCO - AGROPLA s.t. 12 MALUCELLI, Matteo ANDRONI GIOCATTOLI s.t. 13 CHAMORRO, Fco. Ramon SEL. ARGENTINA s.t. 14 LUCERO, Héctor MUNICIPALIDAD DE POCITO s.t. 15 MARINI, Nicolas NIPPO - VINI FANTINI s.t. 16 VIEL, Mattia UNIEURO TREVIGIANI-HEMU s.t. 17 RODRIGUEZ, Willier ITALOMAT-DOGO s.t. 18 GUEVARA, Emmanuel D. MUNICIPALIDAD DE RAWSON s.t. 19 MAGALLANES, Juan P. SEL. MEXICO s.t. 20 MOLLEMA, Bauke TREK - SEGAFREDO s.t. 21 HAEDO, Lucas S. UNITEDHEALTHCARE P.C.T. s.t. 22 MOLINA, Antonio CAJA RURAL - SEGUROS RGA s.t. 23 TIVANI, German N. UNIEURO TREVIGIANI-HEMU s.t. 24 SIUTSOU, Kanstantsin BAHRAIN - MERIDA s.t. 25 JUÁREZ, Daniel ASOCIACION CIVIL MARDAN s.t. 26 OYOLA, Robigzon L. MEDELLIN - INDER s.t. 27 BOONEN, Tom QUICK - STEP FLOORS s.t. 28 DA SILVA, Emerson SEL. BRASIL s.t. 29 ESCUELA, Ricardo A.C. VIRGEN DE FATIMA s.t. 30 GOMEZ, Matias SEL. URUGUAY s.t. 31 SEVILLA, Oscar M. MEDELLIN - INDER s.t. 32 MONTOYA, Javier I. MEDELLIN - INDER s.t. 33 RAVANELLI, Simone UNIEURO TREVIGIANI-HEMU s.t. 34 NIBALI, Vincenzo BAHRAIN - MERIDA s.t. 35 HAUSEN, Rodrigo G. MUNICIPALIDAD DE RAWSON s.t. 36 TURRIN, Alex WILIER TRIESTINA s.t. 37 JUAREZ, Gabriel MUNICIPALIDAD DE POCITO s.t. 38 DE LUNA, Flavio SEL. MEXICO s.t. 39 COSTA, Rui Alberto UAE ABU DHABI s.t. 40 DOTTI, Juan Pablo SEP-SAN JUAN s.t. 41 BARRIENTOS, Julian EQUIPO BOLIVIA s.t. 42 LASTRA, Jonathan CAJA RURAL - SEGUROS RGA s.t. 43 SERRY, Pieter QUICK - STEP FLOORS s.t. 44 TORRES, Rodolfo ANDRONI GIOCATTOLI s.t. 45 SEPULVEDA, Eduardo SEL. ARGENTINA s.t. 46 REIS, Rafael CAJA RURAL - SEGUROS RGA s.t. 47 ANGARITA, Marvin O. EQUIPO BOLIVIA s.t. 48 TROIA, Oliviero UAE ABU DHABI s.t. 49 BRANDLE, Matthias TREK - SEGAFREDO s.t. 50 BERNAL, Egan Arley ANDRONI GIOCATTOLI s.t. 51 JARAMILLO, Daniel A. UNITEDHEALTHCARE P.C.T. s.t. 52 MOLINA, Juan R. SEL. ARGENTINA s.t. 53 CAVAGNA, Rémi QUICK - STEP FLOORS s.t. 54 FRAPPORTI, Marco ANDRONI GIOCATTOLI s.t. 55 JAVIER, Gaston E. SEP-SAN JUAN s.t. 56 MONTIVERO, Luciano A.C. VIRGEN DE FATIMA s.t. 57 RAMOS, Duilio ASOCIACION CIVIL MARDAN s.t. 58 TRILLINI, Sebastian ITALOMAT-DOGO s.t. 59 GONZALBEZ, Iñaky ITALOMAT-DOGO s.t. 60 ARREDONDO, Julian D. NIPPO - VINI FANTINI s.t. 61 AZZEM, Omar S. LOS CASCOS ESCO - AGROPLA s.t. 62 DECLERCQ, Tim QUICK - STEP FLOORS s.t. 63 ANCHIERI, Pablo SEL. URUGUAY s.t. 64 JONES, Christopher UNITEDHEALTHCARE P.C.T. s.t. 65 BOARO, Manuele BAHRAIN - MERIDA s.t. 66 RICHEZE, Maximiliano QUICK - STEP FLOORS s.t. 67 RAMIREZ, Alan G. MUNICIPALIDAD DE RAWSON s.t. 68 LOPEZ, Franco G. A.C. VIRGEN DE FATIMA s.t. 69 BERNAL, Jaime ITALOMAT-DOGO s.t. 70 RICHEZE, Mauro A. A.C. VIRGEN DE FATIMA s.t. 71 NAJAR, Gonzalo J. SEP-SAN JUAN s.t. 72 NAVARRETE, Maximiliano SEL. ARGENTINA s.t. 73 GONZALEZ, Diego SEL. URUGUAY s.t. 74 RAMOS, Ruben SEL. ARGENTINA s.t. 75 STACCHIOTTI, Riccardo NIPPO - VINI FANTINI s.t. 76 CORELLA, Rene SEL. MEXICO s.t. 77 GONZALEZ, Nicolas SEL. CHILE s.t. 78 SAEZ, Hector CAJA RURAL - SEGUROS RGA s.t. 79 POZZATO, Filippo WILIER TRIESTINA s.t. 81 MASNADA, Fausto ANDRONI GIOCATTOLI s.t. 82 DA PAIXO, Felipe SEL. BRASIL s.t. 83 PLEBANI, Davide SEL. ITALIA s.t. 84 OLIVARES, Victor SEL. CHILE s.t. 85 ALAFACI, Eugenio TREK - SEGAFREDO s.t. 86 VIVIANI, Attilio SEL. ITALIA s.t. 87 PARDILLA, Sergio CAJA RURAL - SEGUROS RGA s.t. 88 RAMIREZ, Brayan S. MEDELLIN - INDER s.t. 89 VARGAS, Walter A. MEDELLIN - INDER s.t. 90 DANIEL, Gregory TREK - SEGAFREDO s.t. 91 NIEMIEC, Przemyslaw UAE ABU DHABI s.t. 92 GADAY, Lucas LOS CASCOS ESCO - AGROPLA s.t. 93 BENITO, Miguel Angel CAJA RURAL - SEGUROS RGA s.t. 94 GONZÁLEZ, Pedro MUNICIPALIDAD DE POCITO s.t. 95 DRAPERI, Matteo WILIER TRIESTINA s.t. 96 PACINOTTI, Niccolo BARDIANI CSF s.t. 97 IBARRA, Emiliano SEP-SAN JUAN s.t. 98 SARTASSOV, Andrei SEP-SAN JUAN s.t. 99 SIGURA, César LOS CASCOS ESCO - AGROPLA s.t. 100 CEPEDA, Jefferson EQUIPO BOLIVIA s.t. 101 CABRERA, Carlos SEL. URUGUAY s.t. 102 GUTIERREZ, Alexander SEL. URUGUAY s.t. 103 GODOY, Yonder WILIER TRIESTINA s.t. 104 AGUIRRE, Juan M. LOS CASCOS ESCO - AGROPLA s.t. 105 AMEZQUETA, Julen WILIER TRIESTINA s.t. 106 KUBOKI, Kazushige NIPPO - VINI FANTINI s.t. 107 MANNION, Gavin UNITEDHEALTHCARE P.C.T. s.t. 108 FERNANDEZ, Emiliano ASOCIACION CIVIL MARDAN s.t. 109 WACKERMANN, Luca BARDIANI CSF s.t. 110 CAMPERO, Piter EQUIPO BOLIVIA s.t. 111 JULIO, Ricardo MUNICIPALIDAD DE POCITO s.t. 112 SANTAROMITA, Ivan NIPPO - VINI FANTINI s.t. 113 CORBALAN, Joaquin SEL. CHILE s.t. 114 BRAVO, Edison SEL. CHILE s.t. 115 AMURRIO, Carlos EQUIPO BOLIVIA s.t. 116 DAMATIA, Luan ITALOMAT-DOGO s.t. 117 CORTE, Eduardo SEL. MEXICO s.t. 118 ZAMORA, Daniel A.C. VIRGEN DE FATIMA s.t. 119 RIVERA, Jose L. MUNICIPALIDAD DE POCITO s.t. 120 FALON, Ezequiel E. MUNICIPALIDAD DE RAWSON s.t. 121 PELLIZOTTI, Franco BAHRAIN - MERIDA s.t. 122 SAQUILAN, Alejandro ASOCIACION CIVIL MARDAN s.t. 123 SOAREZ D.L., Nahuel SEL. URUGUAY s.t. 124 PEÑALOSA, Felipe SEL. CHILE s.t. 125 FRAYRE, Eder SEL. MEXICO s.t. 126 CARDONA, Julian MEDELLIN - INDER s.t. 127 RODRIGUEZ, Leonardo ASOCIACION CIVIL MARDAN s.t. 129 CABRERA, Antonio SEL. CHILE s.t. 131 ZARDINI, Edoardo BARDIANI CSF s.t. 132 VEGA, Sergio UNIEURO TREVIGIANI-HEMU s.t. 133 SCARTEZZINI, Michele SEL. ITALIA s.t. 137 GAVAZZI, Francesco ANDRONI GIOCATTOLI s.t. 141 GANNA, Filippo UAE ABU DHABI s.t. 142 ROTA, Lorenzo BARDIANI CSF s.t. 144 TIVANI, Gerardo M. MUNICIPALIDAD DE POCITO s.t. 151 CHOLAKOV, Stanimir UNIEURO TREVIGIANI-HEMU s.t. 4 CAVAGNA, Rémi QUICK - STEP FLOORS s.t. 7 SEVILLA, Oscar M. MEDELLIN - INDER s.t. 11 SIUTSOU, Kanstantsin BAHRAIN - MERIDA s.t. 13 BOARO, Manuele BAHRAIN - MERIDA s.t. 16 SERRY, Pieter QUICK - STEP FLOORS s.t. 17 REIS, Rafael CAJA RURAL - SEGUROS RGA s.t. 31 ANGARITA, Marvin EQUIPO BOLIVIA s.t. 35 LOPEZ, Franco G. A.C. VIRGEN DE FATIMA s.t. 43 GUARDINI, Andrea UAE ABU DHABI s.t. 46 JONES, Christopher UNITEDHEALTHCARE P.C.T. s.t. 53 TURRIN, Alex WILIER TRIESTINA s.t. 61 MALUCELLI, Matteo ANDRONI GIOCATTOLI s.t. 65 BELLETTI, Manuel WILIER TRIESTINA s.t. 67 SANTAROMITA, Ivan NIPPO - VINI FANTINI s.t. 72 MOLINA, Antonio CAJA RURAL - SEGUROS RGA s.t. 74 OLIVARES, Victor SEL. CHILE s.t. 76 RIVERA, Jose L. MUNICIPALIDAD DE POCITO s.t. 77 RODRIGUEZ, Leonardo ASOCIACION CIVIL MARDAN s.t. 78 IBARRA, Emiliano SEP-SAN JUAN s.t. 80 RAMIREZ, Alan G. MUNICIPALIDAD DE RAWSON s.t. 85 CORELLA, Rene SEL. MEXICO s.t. 88 HAEDO, Lucas S. UNITEDHEALTHCARE P.C.T. s.t. 91 PACINOTTI, Niccolo BARDIANI CSF s.t. 102 DA PAIXO, Felipe SEL. BRASIL s.t. 103 STACCHIOTTI, Riccardo NIPPO - VINI FANTINI s.t. 116 GONZALEZ, Diego SEL. URUGUAY s.t. 121 CORBALAN, Joaquin SEL. CHILE s.t. 127 GOMEZ, Matias SEL. URUGUAY s.t. “My legs are light," smiles Ramunas Navardauskas winner of the 3rd stage Vuelta a San Juan. "And I’m really relaxed. Probably are the victory effects! Looking back, I was not thinking to win, I just wanted to give my best and try to make a good race. We had tried several times the route and was a kind of time trial where you had to push very very strong”. With the victory in the ITT, the Lithuanian rider also won the GC jersey with a 3” lead on the Dutchman Bauke Mollema. “We are very proud," commented sport director Paolo Slongo. "For this first victory in the history of Team Bahrain Merida. No doubt it’s a success that has a particular value, but to tell you the truth I’m not so surprised”. “In fact," he continued, "I thought that a specialist like Ramunas could make a good result, but I would also like to highlight the good performance of the team that put four athletes in the top 13. It means that we are going in the right direction and we worked well in this last period”. 10 SIUTSOU, Kanstantsin BAHRAIN - MERIDA s.t. 12 BOARO, Manuele BAHRAIN - MERIDA s.t. 14 VIVIANI, Elia SEL. ITALIA s.t. 19 BOONEN, Tom QUICK - STEP FLOORS s.t. 20 COLEDAN, Marco TREK - SEGAFREDO s.t. 23 SEPULVEDA, Eduardo SEL. ARGENTINA s.t. 27 OYOLA, Robigzon L. MEDELLIN - INDER s.t. 35 ALZATE, Carlos E. UNITEDHEALTHCARE P.C.T. s.t. 36 POZZATO, Filippo WILIER TRIESTINA s.t. 40 IBARRA, Emiliano SEP-SAN JUAN s.t. 45 DECLERCQ, Tim QUICK - STEP FLOORS s.t. 48 CUNEGO, Damiano NIPPO - VINI FANTINI s.t. 50 NARANJO, Nicolás A.C. VIRGEN DE FATIMA s.t. 53 ANGARITA, Marvin O. EQUIPO BOLIVIA s.t. 55 TROIA, Oliviero UAE ABU DHABI s.t. 59 SOAREZ D.L., Nahuel SEL. URUGUAY s.t. 62 RICHEZE, Adrian A.C. VIRGEN DE FATIMA s.t. 64 SANTAROMITA, Ivan NIPPO - VINI FANTINI s.t. 67 BERNAL, Jaime ITALOMAT-DOGO s.t. 69 ANCHIERI, Pablo SEL. URUGUAY s.t. 70 PRADO, Ignacio SEP-SAN JUAN s.t. 73 OLIVARES, Victor SEL. CHILE s.t. 77 STACCHIOTTI, Riccardo NIPPO - VINI FANTINI s.t. 79 RODRIGUEZ, Leonardo ASOCIACION CIVIL MARDAN s.t. 80 GUARDINI, Andrea UAE ABU DHABI s.t. 82 RIVERA, Jose L. MUNICIPALIDAD DE POCITO s.t. 83 RAMOS, Duilio ASOCIACION CIVIL MARDAN s.t. 86 JONES, Christopher UNITEDHEALTHCARE P.C.T. s.t. 94 PELLIZOTTI, Franco BAHRAIN - MERIDA s.t. 96 SARTOR, Federico SEL. ITALIA s.t. 97 MAESTRI, Mirco BARDIANI CSF s.t. 99 GONZÁLEZ, Pedro MUNICIPALIDAD DE POCITO s.t. 103 CEPEDA, Jefferson EQUIPO BOLIVIA s.t. 104 PEÑALOSA, Felipe SEL. CHILE s.t. 106 TURRIN, Alex WILIER TRIESTINA s.t. 107 JUAREZ, Gabriel MUNICIPALIDAD DE POCITO s.t. 115 GONZÁLEZ, Freddy EQUIPO BOLIVIA s.t. 117 TIVANI, Gerardo M. MUNICIPALIDAD DE POCITO s.t. 122 GADAY, Lucas LOS CASCOS ESCO - AGROPLA s.t. 125 MALUCELLI, Matteo ANDRONI GIOCATTOLI s.t. 135 ZARDINI, Edoardo BARDIANI CSF s.t. 137 CAMPERO, Piter EQUIPO BOLIVIA s.t. 150 GADAY, Julian P. LOS CASCOS ESCO - AGROPLA s.t. 6 SEVILLA, Oscar M. MEDELLIN - INDER s.t. 23 GAVIRIA, Fernando QUICK - STEP FLOORS s.t. 33 ANGARITA, Marvin O. EQUIPO BOLIVIA s.t. 36 LOPEZ, Franco G. A.C. VIRGEN DE FATIMA s.t. 42 COLEDAN, Marco TREK - SEGAFREDO s.t. 46 GUARDINI, Andrea UAE ABU DHABI s.t. 49 JONES, Christopher UNITEDHEALTHCARE P.C.T. s.t. 58 TURRIN, Alex WILIER TRIESTINA s.t. 67 MALUCELLI, Matteo ANDRONI GIOCATTOLI s.t. 71 BELLETTI, Manuel WILIER TRIESTINA s.t. 74 SANTAROMITA, Ivan NIPPO - VINI FANTINI s.t. 79 MOLINA, Antonio CAJA RURAL - SEGUROS RGA s.t. 81 OLIVARES, Victor SEL. CHILE s.t. 83 RIVERA, Jose L. MUNICIPALIDAD DE POCITO s.t. 84 RODRIGUEZ, Leonardo ASOCIACION CIVIL MARDAN s.t. 86 RAMIREZ, Alan G. MUNICIPALIDAD DE RAWSON s.t. 87 IBARRA, Emiliano SEP-SAN JUAN s.t. 90 NIEMIEC, Przemyslaw UAE ABU DHABI s.t. 95 HAEDO, Lucas S. UNITEDHEALTHCARE P.C.T. s.t. 99 PACINOTTI, Niccolo BARDIANI CSF s.t. 105 PRADO, Ignacio SEP-SAN JUAN s.t. 110 DA PAIXO, Felipe SEL. BRASIL s.t. 111 STACCHIOTTI, Riccardo NIPPO - VINI FANTINI s.t. 122 GONZALEZ, Diego SEL. URUGUAY s.t. The Race: Here's the report from winner Tom Boonen's Quick Step team. Tom Boonen took a comfortable victory in just his second day of racing this season, becoming the first ever road cyclist to land a win on disc brakes. Vuelta a San Juan stage 1: Tom Boonen does a big lead-out for Fernando Gaviria, the Colombian sprints to victory. 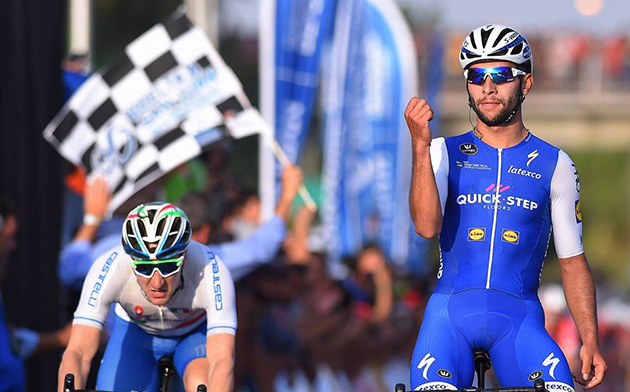 Vuelta a San Juan stage 2: Fernando Gaviria picks up lead-out duties, and Tom Boonen snatches the win, his second on Argentinean turf. So far, that's been the story of the 35th Vuelta a San Juan, a race in which both Gaviria and Boonen got their season underway in style. A 128.5km stage starting and finishing in San Juan was in line on Tuesday, when four riders escaped the clutches of the peloton and built a maximum lead of three minutes. As was the case one day earlier, Quick-Step Floors Cycling Team controlled the gap, avoided the two crashes that took down several riders in the closing kilometers and made sure stage 2 will end up in a bunch sprint. Nothing was left to chance in the final meters, when Max Richeze (the only Argentinean to ride at World Tour level) and race leader Fernando Gaviria dug deep to take Tom Boonen at the front and launch him to victory, the team's third in 2017. The win – first ever of a rider on a bike equipped with disc brakes – means that Quick-Step Floors continues to lead the teams standings going into the third stage of Vuelta a San Juan. Tom, who's now won at least one race in each of his 16 seasons as pro, was full of praise for his teammates at the finish: "Right from the start of the day, the plan was to do the sprint for me, after going with Fernando on stage 1. In the final kilometer, both Max and Fernando did an awesome job and I got the better of Elia. I want to thank them for their help, because in the end, this is a team win. I've always had a good experience in Argentina and this victory shows that I'm on the right track for the upcoming races." "It's just the start of the season, but the level in San Juan is a good one. I'm happy to win in Argentina, in front of these unbelievable fans. It's incredible how many people came at the start and at the finish, you can really feel how much they love cycling and how passionate they are about it", concluded Tom, who throughout his career has won more than 100 races across 13 countries and four continents. 4 ESCUELA, Ricardo A.C. VIRGEN DE FATIMA s.t. 5 GUARDINI, Andrea UAE ABU DHABI s.t. 6 NAVARDAUSKAS, Ramunas BAHRAIN - MERIDA s.t. 7 KEOUGH, Luke UNITEDHEALTHCARE P.C.T. s.t. 8 BELLETTI, Manuel WILIER TRIESTINA s.t. 9 ALAFACI, Eugenio TREK - SEGAFREDO s.t. 11 ANGARITA, Marvin O. EQUIPO BOLIVIA s.t. 12 MAGALLANES, Juan P. SEL. MEXICO s.t. 13 ROSAS, Laureano SEL. ARGENTINA s.t. 14 REIS, Rafael CAJA RURAL - SEGUROS RGA s.t. 15 LUCERO, Héctor MUNICIPALIDAD DE POCITO s.t. 16 GAVIRIA, Fernando QUICK - STEP FLOORS s.t. 17 TROIA, Oliviero UAE ABU DHABI s.t. 18 MANNION, Gavin UNITEDHEALTHCARE P.C.T. s.t. 19 RICHEZE, Mauro A. A.C. VIRGEN DE FATIMA s.t. 20 OYOLA, Robigzon L. MEDELLIN - INDER s.t. 21 MOLINA, Juan R. SEL. ARGENTINA s.t. 22 SCARTEZZINI, Michele SEL. ITALIA s.t. 23 RAVANELLI, Simone UNIEURO TREVIGIANI-HEMU s.t. 24 RAMOS, Duilio ASOCIACION CIVIL MARDAN s.t. 25 TURRIN, Alex WILIER TRIESTINA s.t. 26 NIBALI, Vincenzo BAHRAIN - MERIDA s.t. 27 CAVAGNA, Rémi QUICK - STEP FLOORS s.t. 28 SEVILLA, Oscar M. MEDELLIN - INDER s.t. 29 JONES, Christopher UNITEDHEALTHCARE P.C.T. s.t. 30 MOYANO, Enzo MUNICIPALIDAD DE POCITO s.t. 31 MOLLEMA, Bauke TREK - SEGAFREDO s.t. 32 GAVAZZI, Francesco ANDRONI GIOCATTOLI s.t. 33 BERNAL, Egan Arley ANDRONI GIOCATTOLI s.t. 34 SIUTSOU, Kanstantsin BAHRAIN - MERIDA s.t. 35 GADAY, Lucas LOS CASCOS ESCO - AGROPLA s.t. 36 TORRES, Rodolfo ANDRONI GIOCATTOLI s.t. 37 LASTRA, Jonathan CAJA RURAL - SEGUROS RGA s.t. 38 RICHEZE, Maximiliano QUICK - STEP FLOORS s.t. 39 DRAPERI, Matteo WILIER TRIESTINA s.t. 40 BRÄNDLE, Matthias TREK - SEGAFREDO s.t. 41 COSTA, Rui Alberto UAE ABU DHABI s.t. 42 MONTOYA, Javier I. MEDELLIN - INDER s.t. 43 DANIEL, Gregory TREK - SEGAFREDO s.t. 44 PARDILLA, Sergio CAJA RURAL - SEGUROS RGA s.t. 45 SERRY, Pieter QUICK - STEP FLOORS s.t. 46 DECLERCQ, Tim QUICK - STEP FLOORS s.t. 47 TRILLINI, Sebastian ITALOMAT-DOGO s.t. 48 DOTTI, Juan Pablo SEP-SAN JUAN s.t. 49 BOARO, Manuele BAHRAIN - MERIDA s.t. 50 MASNADA, Fausto ANDRONI GIOCATTOLI s.t. 51 LOPEZ, Franco G. A.C. VIRGEN DE FATIMA s.t. 53 BARRIENTOS, Julian EQUIPO BOLIVIA s.t. 54 PELLIZOTTI, Franco BAHRAIN - MERIDA s.t. 55 SARTOR, Federico SEL. ITALIA s.t. 57 FRAPPORTI, Marco ANDRONI GIOCATTOLI s.t. 62 CORBALAN, Joaquin SEL. CHILE s.t. 63 PACINOTTI, Niccolo BARDIANI CSF s.t. 64 MOLINA, Antonio CAJA RURAL - SEGUROS RGA s.t. 65 ANCHIERI, Pablo SEL. URUGUAY s.t. 66 RODRIGUEZ, Willier ITALOMAT-DOGO s.t. 67 CORELLA, Rene SEL. MEXICO s.t. 68 JAVIER, Gaston E. SEP-SAN JUAN s.t. 69 GUEVARA, Emmanuel D. MUNICIPALIDAD DE RAWSON s.t. 70 BERNAL, Jaime ITALOMAT-DOGO s.t. 71 HAEDO, Lucas S. UNITEDHEALTHCARE P.C.T. s.t. 72 CABRERA, Carlos SEL. URUGUAY s.t. 74 GUTIERREZ, Alexander SEL. URUGUAY s.t. 75 LUCERO, Higinio D. MUNICIPALIDAD DE RAWSON s.t. 77 JARAMILLO, Daniel A. UNITEDHEALTHCARE P.C.T. s.t. 78 ZAMORA, Daniel A.C. VIRGEN DE FATIMA s.t. 79 OLIVARES, Victor SEL. CHILE s.t. 81 VARGAS, Walter A. MEDELLIN - INDER s.t. 82 SEPULVEDA, Eduardo SEL. ARGENTINA s.t. 83 MELIVILLO, Juan ITALOMAT-DOGO s.t. 84 MULLER, Mauricio SEP-SAN JUAN s.t. 85 BENITO, Miguel Angel CAJA RURAL - SEGUROS RGA s.t. 86 GANNA, Filippo UAE ABU DHABI s.t. 87 MONTIVERO, Luciano A.C. VIRGEN DE FATIMA s.t. 88 NAJAR, Gonzalo J. SEP-SAN JUAN s.t. 89 RIVERA, Jose L. MUNICIPALIDAD DE POCITO s.t. 90 WACKERMANN, Luca BARDIANI CSF s.t. 91 RICHEZE, Adrian A.C. VIRGEN DE FATIMA s.t. 92 RAMOS, Ruben SEL. ARGENTINA s.t. 93 JUÁREZ, Daniel ASOCIACION CIVIL MARDAN s.t. 94 SANTAROMITA, Ivan NIPPO - VINI FANTINI s.t. 95 CUNEGO, Damiano NIPPO - VINI FANTINI s.t. 96 SARTASSOV, Andrei SEP-SAN JUAN s.t. 97 LAMON, Francesco SEL. ITALIA s.t. 98 RUFFONI, Nicola BARDIANI CSF s.t. 99 KUBOKI, Kazushige NIPPO - VINI FANTINI s.t. 101 MEX RANGEL, Hecto H. SEL. MEXICO s.t. 103 DA PAIXO, Felipe SEL. BRASIL s.t. 104 AZZEM, Omar S. LOS CASCOS ESCO - AGROPLA s.t. 105 MONTES, Francisco ASOCIACION CIVIL MARDAN s.t. 106 FALON, Ezequiel E. MUNICIPALIDAD DE RAWSON s.t. 107 SAQUILAN, Alejandro ASOCIACION CIVIL MARDAN s.t. 108 CABRERA, Antonio SEL. CHILE s.t. 109 CEPEDA, Jefferson EQUIPO BOLIVIA s.t. 110 GONZALEZ, Nicolas SEL. CHILE s.t. 111 DAMATIA, Luan ITALOMAT-DOGO s.t. 114 DA SILVA, Emerson SEL. BRASIL s.t. 116 GADAY, Julian P. LOS CASCOS ESCO - AGROPLA s.t. 117 ESPINDOLA, Santiago A. LOS CASCOS ESCO - AGROPLA s.t. 118 CORTE, Eduardo SEL. MEXICO s.t. 119 JUAREZ, Gabriel MUNICIPALIDAD DE POCITO s.t. 120 PRADO, Ignacio SEP-SAN JUAN s.t. 121 AMURRIO, Carlos EQUIPO BOLIVIA s.t. 122 CAMPERO, Piter EQUIPO BOLIVIA s.t. 123 CARDONA, Julian MEDELLIN - INDER s.t. 124 JULIO, Ricardo MUNICIPALIDAD DE POCITO s.t. 125 ALZATE, Carlos E. UNITEDHEALTHCARE P.C.T. s.t. 126 NAVARRETE, Maximiliano SEL. ARGENTINA s.t. 127 TIVANI, German N. UNIEURO TREVIGIANI-HEMU s.t. 128 IBARRA, Emiliano SEP-SAN JUAN s.t. 129 GODOY, Yonder WILIER TRIESTINA s.t. 130 VEGA, Sergio UNIEURO TREVIGIANI-HEMU s.t. 131 RAMIREZ, Brayan S. MEDELLIN - INDER s.t. 132 GONZÁLEZ, Freddy EQUIPO BOLIVIA s.t. 133 SAEZ, Hector CAJA RURAL - SEGUROS RGA s.t. 134 AMEZQUETA, Julen WILIER TRIESTINA s.t. 135 PAEZ, Andres D. MUNICIPALIDAD DE RAWSON s.t. 136 CHOLAKOV, Stanimir UNIEURO TREVIGIANI-HEMU s.t. 137 TIVANI, Gerardo M. MUNICIPALIDAD DE POCITO s.t. 138 NARANJO, Nicolás A.C. VIRGEN DE FATIMA s.t. 139 MARINI, Nicolas NIPPO - VINI FANTINI s.t. 140 STACCHIOTTI, Riccardo NIPPO - VINI FANTINI s.t. 141 ARREDONDO, Julian D. NIPPO - VINI FANTINI s.t. 143 BRAVO, Edison SEL. CHILE s.t. 144 GONZALBEZ, Iñaky ITALOMAT-DOGO s.t. 145 NIEMIEC, Przemyslaw UAE ABU DHABI s.t. 148 ZARDINI, Edoardo BARDIANI CSF s.t. 153 PLEBANI, Davide SEL. ITALIA s.t. 154 AGUIRRE, Juan M. LOS CASCOS ESCO - AGROPLA s.t. 155 HAUSEN, Rodrigo G. MUNICIPALIDAD DE RAWSON s.t. 156 ARROYO, Victor ASOCIACION CIVIL MARDAN s.t. 7 MANNION, Gavin UNITEDHEALTHCARE P.C.T. s.t. 8 RAMOS, Duilio ASOCIACION CIVIL MARDAN s.t. 9 SEVILLA, Oscar M. MEDELLIN - INDER s.t. 10 MOLLEMA, Bauke TREK - SEGAFREDO s.t. 11 MOLINA, Juan R. SEL. ARGENTINA s.t. 12 RAVANELLI, Simone UNIEURO TREVIGIANI-HEMU s.t. 13 MOYANO, Enzo MUNICIPALIDAD DE POCITO s.t. 14 BRÄNDLE, Matthias TREK - SEGAFREDO s.t. 15 GAVAZZI, Francesco ANDRONI GIOCATTOLI s.t. 16 MONTOYA, Javier I. MEDELLIN - INDER s.t. 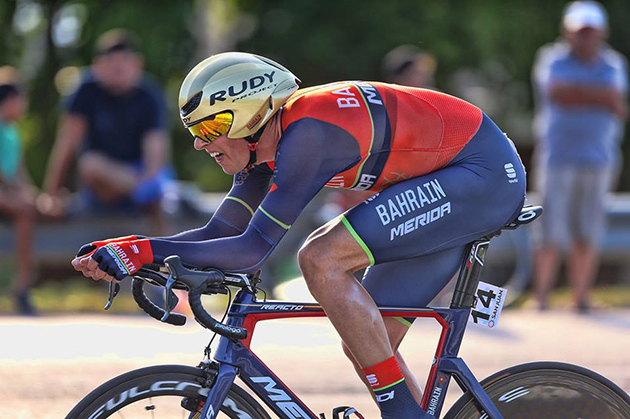 17 BOARO, Manuele BAHRAIN - MERIDA s.t. 18 DOTTI, Juan Pablo SEP-SAN JUAN s.t. 19 LASTRA, Jonathan CAJA RURAL - SEGUROS RGA s.t. 20 SERRY, Pieter QUICK - STEP FLOORS s.t. 21 SIUTSOU, Kanstantsin BAHRAIN - MERIDA s.t. 22 TRILLINI, Sebastian ITALOMAT-DOGO s.t. 23 KEOUGH, Luke UNITEDHEALTHCARE P.C.T. s.t. 24 DANIEL, Gregory TREK - SEGAFREDO s.t. 25 DECLERCQ, Tim QUICK - STEP FLOORS s.t. 26 ROSAS, Laureano SEL. ARGENTINA s.t. 27 MASNADA, Fausto ANDRONI GIOCATTOLI s.t. 28 RICHEZE, Maximiliano QUICK - STEP FLOORS s.t. 29 SCARTEZZINI, Michele SEL. ITALIA s.t. 30 PELLIZOTTI, Franco BAHRAIN - MERIDA s.t. 31 VIEL, Mattia UNIEURO TREVIGIANI-HEMU s.t. 32 JONES, Christopher UNITEDHEALTHCARE P.C.T. s.t. 33 BELLETTI, Manuel WILIER TRIESTINA s.t. 34 BARRIENTOS, Julian EQUIPO BOLIVIA s.t. 36 REIS, Rafael CAJA RURAL - SEGUROS RGA s.t. 37 GUARDINI, Andrea UAE ABU DHABI s.t. 38 ALAFACI, Eugenio TREK - SEGAFREDO s.t. 39 TURRIN, Alex WILIER TRIESTINA s.t. 40 TROIA, Oliviero UAE ABU DHABI s.t. 41 ESCUELA, Ricardo A.C. VIRGEN DE FATIMA s.t. 42 MAGALLANES, Juan P. SEL. MEXICO s.t. 43 OYOLA, Robigzon L. MEDELLIN - INDER s.t. 44 NAVARDAUSKAS, Ramunas BAHRAIN - MERIDA s.t. 45 LUCERO, Héctor MUNICIPALIDAD DE POCITO s.t. 46 ANGARITA, Marvin O. EQUIPO BOLIVIA s.t. 47 BERNAL, Egan Arley ANDRONI GIOCATTOLI s.t. 48 RICHEZE, Mauro A. A.C. VIRGEN DE FATIMA s.t. 49 PARDILLA, Sergio CAJA RURAL - SEGUROS RGA s.t. 50 TORRES, Rodolfo ANDRONI GIOCATTOLI s.t. 51 CAVAGNA, Rémi QUICK - STEP FLOORS s.t. 52 SARTOR, Federico SEL. ITALIA s.t. 53 COSTA, Rui Alberto UAE ABU DHABI s.t. 54 DRAPERI, Matteo WILIER TRIESTINA s.t. 55 POZZATO, Filippo WILIER TRIESTINA s.t. 56 ATAPUMA, Jhon Darwin UAE ABU DHABI s.t. 58 AGNOLI, Valerio BAHRAIN - MERIDA s.t. 64 RODRIGUEZ, Leonardo ASOCIACION CIVIL MARDAN s.t. 67 SEPULVEDA, Eduardo SEL. ARGENTINA s.t. 68 MOLINA, Antonio CAJA RURAL - SEGUROS RGA s.t. 69 PACINOTTI, Niccolo BARDIANI CSF s.t. 70 MULLER, Mauricio SEP-SAN JUAN s.t. 71 RODRIGUEZ, Willier ITALOMAT-DOGO s.t. 72 MONTIVERO, Luciano A.C. VIRGEN DE FATIMA s.t. 73 JAVIER, Gaston E. SEP-SAN JUAN s.t. 74 SARTASSOV, Andrei SEP-SAN JUAN s.t. 75 SANTAROMITA, Ivan NIPPO - VINI FANTINI s.t. 76 BENITO, Miguel Angel CAJA RURAL - SEGUROS RGA s.t. 77 ZAMORA, Daniel A.C. VIRGEN DE FATIMA s.t. 78 RICHEZE, Adrian A.C. VIRGEN DE FATIMA s.t. 79 NAJAR, Gonzalo J. SEP-SAN JUAN s.t. 80 ANCHIERI, Pablo SEL. URUGUAY s.t. 81 CABRERA, Carlos SEL. URUGUAY s.t. 82 GUEVARA, Emmanuel D. MUNICIPALIDAD DE RAWSON s.t. 84 GUTIERREZ, Alexander SEL. URUGUAY s.t. 85 OLIVARES, Victor SEL. CHILE s.t. 86 DE LUNA, Flavio SEL. MEXICO s.t. 87 MELIVILLO, Juan ITALOMAT-DOGO s.t. 88 GONZALEZ, Diego SEL. URUGUAY s.t. 91 JUÁREZ, Daniel ASOCIACION CIVIL MARDAN s.t. 92 JARAMILLO, Daniel A. UNITEDHEALTHCARE P.C.T. s.t. 93 CORELLA, Rene SEL. MEXICO s.t. 94 LAMON, Francesco SEL. ITALIA s.t. 95 BERNAL, Jaime ITALOMAT-DOGO s.t. 96 HAEDO, Lucas S. UNITEDHEALTHCARE P.C.T. s.t. 97 CUNEGO, Damiano NIPPO - VINI FANTINI s.t. 98 CORBALAN, Joaquin SEL. CHILE s.t. 100 RUFFONI, Nicola BARDIANI CSF s.t. 103 RANGEL, Hecto H. SEL. MEXICO s.t. 105 DA PAIXO, Felipe SEL. BRASIL s.t. 106 GONZALEZ, Nicolas SEL. CHILE s.t. 107 DAMATIA, Luan ITALOMAT-DOGO s.t. 108 SAQUILAN, Alejandro ASOCIACION CIVIL MARDAN s.t. 109 AZZEM, Omar S. LOS CASCOS ESCO - AGROPLA s.t. 110 MONTES, Francisco ASOCIACION CIVIL MARDAN s.t. 111 CEPEDA, Jefferson EQUIPO BOLIVIA s.t. 112 SOAREZ D.L., Nahuel SEL. URUGUAY s.t. 115 NARANJO, Nicolás A.C. VIRGEN DE FATIMA s.t. 116 GOMEZ, Matias SEL. URUGUAY s.t. 117 DA SILVA, Emerson SEL. BRASIL s.t. 120 TIVANI, German N. UNIEURO TREVIGIANI-HEMU s.t. 121 SAEZ, Hector CAJA RURAL - SEGUROS RGA s.t. 122 JUAREZ, Gabriel MUNICIPALIDAD DE POCITO s.t. 123 PRADO, Ignacio SEP-SAN JUAN s.t. 124 IBARRA, Emiliano SEP-SAN JUAN s.t. 125 RAMIREZ, Brayan S. MEDELLIN - INDER s.t. 126 GONZALBEZ, Iñaky ITALOMAT-DOGO s.t. 127 SIGURA, César LOS CASCOS ESCO - AGROPLA s.t. 128 ESPINDOLA, Santiago A. LOS CASCOS ESCO - AGROPLA s.t. 129 CARDONA, Julian MEDELLIN - INDER s.t. 130 BRAVO, Edison SEL. CHILE s.t. 131 NIEMIEC, Przemyslaw UAE ABU DHABI s.t. 132 AMURRIO, Carlos EQUIPO BOLIVIA s.t. 133 CAMPERO, Piter EQUIPO BOLIVIA s.t. 134 JULIO, Ricardo MUNICIPALIDAD DE POCITO s.t. 135 CHOLAKOV, Stanimir UNIEURO TREVIGIANI-HEMU s.t. 136 STACCHIOTTI, Riccardo NIPPO - VINI FANTINI s.t. 137 GONZÁLEZ, Freddy EQUIPO BOLIVIA s.t. 138 CORTE, Eduardo SEL. MEXICO s.t. 139 GADAY, Julian P. LOS CASCOS ESCO - AGROPLA s.t. 140 VEGA, Sergio UNIEURO TREVIGIANI-HEMU s.t. 141 NAVARRETE, Maximiliano SEL. ARGENTINA s.t. 142 PAEZ, Andres D. MUNICIPALIDAD DE RAWSON s.t. 143 GODOY, Yonder WILIER TRIESTINA s.t. 144 AMEZQUETA, Julen WILIER TRIESTINA s.t. 145 ROTA, Lorenzo BARDIANI CSF s.t. 146 ARREDONDO, Julian D. NIPPO - VINI FANTINI s.t. 149 ZARDINI, Edoardo BARDIANI CSF s.t. 154 FERNANDEZ, Emiliano ASOCIACION CIVIL MARDAN s.t. 155 ARROYO, Victor ASOCIACION CIVIL MARDAN s.t. 156 PLEBANI, Davide SEL. ITALIA s.t. 157 HAUSEN, Rodrigo G. MUNICIPALIDAD DE RAWSON s.t. The Race: Here's the story from stage winner Fernando Gaviria's Quick Step team. A perfect lead-out by Tom Boonen and a rock solid sprint of the Colombian delivered the team's second victory of the year. Argentina: the land of tango, passionate football fans, fascinating natural landscapes and... Quick-Step Floors Cycling Team. In the past five years, our team made a habit out of winning regularly in the South American country, be it bunch finishes, time trials, or mountain stages. Between 2012 and 2016, the Quick-Step Floors riders scored nine victories in Argentina; number 10 was only a question of time, and it came on the first day of the 35th Vuelta a San Juan, through the likes of Fernando Gaviria, who returned to winning ways three months after taking a memorable victory in Paris-Tours. The Colombian prodigy, for many the best neo-pro of 2016, was protected by his teammates throughout the 142.5km-long stage which concluded in San Juan, and as soon as Tom Boonen stepped aside following his monster lead-out, he sprinted to the line, not allowing Elia Viviani (Italian National Team) and Nicolas Marini (Nippo-Vini Fantini) to come around, despite having the two in his slipstream for more than 50 meters. Monday's sprint, a reduced one after dozens of riders took a wrong turn with 1500 meters to go, saw Fernando kick off his season with a victory in Argentina for the third consecutive year: "It was a good day for us. The pace during the stage was ok and we were prepared for the final sprint. The guys were amazing in the finale, one which became a little bit chaotic, and I really want to thank everybody. Max and then Tom led me perfectly into the final straight. Once Tom swung to the left, I opened my sprint and gave everything. It's a luxury to have such riders in the team." Not only that he nabbed the victory, but Fernando Gaviria also became the first leader of the race, while Quick-Step Floors tops the teams standings: "It was great to win here and take the leader's jersey in my first race of the season. It's no secret that I like racing in Argentina and it's always a pleasure to win here and get a boost of confidence for the upcoming races. I worked really hard in the past weeks and it's nice to see it pay off. We will see what we can do tomorrow. Many strong riders and teams that want to win are here, but if the opportunity arises, then we will try to grab a second victory." 3 MARINI, Nicolas NIPPO - VINI FANTINI s.t. 4 MALUCELLI, Matteo ANDRONI GIOCATTOLI s.t. 5 NIBALI, Vincenzo BAHRAIN - MERIDA s.t. 6 BOONEN, Tom QUICK - STEP FLOORS s.t. 7 BRÄNDLE, Matthias TREK - SEGAFREDO s.t. 8 RAMIREZ, Alan G. MUNICIPALIDAD DE RAWSON s.t. 9 MOLLEMA, Bauke TREK - SEGAFREDO s.t. 10 SEVILLA, Oscar M. MEDELLIN - INDER s.t. 11 TIVANI, German N. UNIEURO TREVIGIANI-HEMU s.t. 12 ALZATE, Carlos E. UNITEDHEALTHCARE P.C.T. s.t. 13 RAMOS, Duilio ASOCIACION CIVIL MARDAN s.t. 14 MANNION, Gavin UNITEDHEALTHCARE P.C.T. s.t. 15 BOARO, Manuele BAHRAIN - MERIDA s.t. 17 MOYANO, Enzo MUNICIPALIDAD DE POCITO s.t. 19 SAEZ, Hector CAJA RURAL - SEGUROS RGA s.t. 20 SEPULVEDA, Eduardo SEL. ARGENTINA s.t. 22 RAVANELLI, Simone UNIEURO TREVIGIANI-HEMU s.t. 23 GAVAZZI, Francesco ANDRONI GIOCATTOLI s.t. 24 SARTASSOV, Andrei SEP-SAN JUAN s.t. 26 SERRY, Pieter QUICK - STEP FLOORS s.t. 27 MONTIVERO, Luciano A.C. VIRGEN DE FATIMA s.t. 28 FALON, Ezequiel E. MUNICIPALIDAD DE RAWSON s.t. 29 MULLER, Mauricio SEP-SAN JUAN s.t. 30 LASTRA, Jonathan CAJA RURAL - SEGUROS RGA s.t. 31 IBARRA, Emiliano SEP-SAN JUAN s.t. 32 CABRERA, Antonio SEL. CHILE s.t. 33 SANTAROMITA, Ivan NIPPO - VINI FANTINI s.t. 34 RAMIREZ, Brayan S. MEDELLIN - INDER s.t. 35 TRILLINI, Sebastian ITALOMAT-DOGO s.t. 36 GONZALBEZ, Iñaky ITALOMAT-DOGO s.t. 38 SIUTSOU, Kanstantsin BAHRAIN - MERIDA s.t. 39 PRADO, Ignacio SEP-SAN JUAN s.t. 40 RAMOS, Ruben SEL. ARGENTINA s.t. 41 MOLINA, Antonio CAJA RURAL - SEGUROS RGA s.t. 42 PEÑALOSA, Felipe SEL. CHILE s.t. 43 BENITO, Miguel Angel CAJA RURAL - SEGUROS RGA s.t. 44 NIEMIEC, Przemyslaw UAE ABU DHABI s.t. 45 PACINOTTI, Niccolo BARDIANI CSF s.t. 46 BRAVO, Edison SEL. CHILE s.t. 47 JAVIER, Gaston E. SEP-SAN JUAN s.t. 48 RODRIGUEZ, Willier ITALOMAT-DOGO s.t. 49 DANIEL, Gregory TREK - SEGAFREDO s.t. 50 DECLERCQ, Tim QUICK - STEP FLOORS s.t. 51 MASNADA, Fausto ANDRONI GIOCATTOLI s.t. 52 RICHEZE, Adrian A.C. VIRGEN DE FATIMA s.t. 53 GONZALEZ, Nicolas SEL. CHILE s.t. 54 DAMATIA, Luan ITALOMAT-DOGO s.t. 55 LOPEZ, Franco G. A.C. VIRGEN DE FATIMA s.t. 56 DA PAIXO, Felipe SEL. BRASIL s.t. 57 AGNOLI, Valerio BAHRAIN - MERIDA s.t. 58 PELLIZOTTI, Franco BAHRAIN - MERIDA s.t. 59 AGUIRRE, Juan M. LOS CASCOS ESCO - AGROPLA s.t. 60 ZAMORA, Daniel A.C. VIRGEN DE FATIMA s.t. 61 NAJAR, Gonzalo J. SEP-SAN JUAN s.t. 62 NARANJO, Nicolás A.C. VIRGEN DE FATIMA s.t. 63 MONTEIRO, Maicke SEL. BRASIL s.t. 64 RICHEZE, Maximiliano QUICK - STEP FLOORS s.t. 65 SAQUILAN, Alejandro ASOCIACION CIVIL MARDAN s.t. 66 CARDONA, Julian MEDELLIN - INDER s.t. 67 STACCHIOTTI, Riccardo NIPPO - VINI FANTINI s.t. 68 SIGURA, César LOS CASCOS ESCO - AGROPLA s.t. 69 ESPINDOLA, Santiago A. LOS CASCOS ESCO - AGROPLA s.t. 70 CHOLAKOV, Stanimir UNIEURO TREVIGIANI-HEMU s.t. 71 GONZÁLEZ, Pedro MUNICIPALIDAD DE POCITO s.t. 73 MAESTRI, Mirco BARDIANI CSF s.t. 74 CAMPERO, Piter EQUIPO BOLIVIA s.t. 75 AMURRIO, Carlos EQUIPO BOLIVIA s.t. 76 FERNANDEZ, Emiliano ASOCIACION CIVIL MARDAN s.t. 77 TIVANI, Gerardo M. MUNICIPALIDAD DE POCITO s.t. 78 KEOUGH, Luke UNITEDHEALTHCARE P.C.T. s.t. 79 CABRERA, Carlos SEL. URUGUAY s.t. 80 RANGEL, Hecto H. SEL. MEXICO s.t. 81 LUCERO, Higinio D. MUNICIPALIDAD DE RAWSON s.t. 82 GONZÁLEZ, Freddy EQUIPO BOLIVIA s.t. 83 RODRIGUEZ, Leonardo ASOCIACION CIVIL MARDAN s.t. 84 BARRIENTOS, Julian EQUIPO BOLIVIA s.t. 85 ROSAS, Laureano SEL. ARGENTINA s.t. 86 ANCHIERI, Pablo SEL. URUGUAY s.t. 87 GANNA, Filippo UAE ABU DHABI s.t. 88 SCARTEZZINI, Michele SEL. ITALIA s.t. 89 GUEVARA, Emmanuel D. MUNICIPALIDAD DE RAWSON s.t. 90 VIVIANI, Attilio SEL. ITALIA s.t. 91 GOMEZ, Matias SEL. URUGUAY s.t. 92 DA SILVA, Emerson SEL. BRASIL s.t. 93 WAIANDT, Tiago SEL. BRASIL s.t. 94 AZZEM, Omar S. LOS CASCOS ESCO - AGROPLA s.t. 95 MELIVILLO, Juan ITALOMAT-DOGO s.t. 96 ZARDINI, Edoardo BARDIANI CSF s.t. 97 PAEZ, Andres D. MUNICIPALIDAD DE RAWSON s.t. 98 OLIVARES, Victor SEL. CHILE s.t. 99 VEGA, Sergio UNIEURO TREVIGIANI-HEMU s.t. 100 CORTE, Eduardo SEL. MEXICO s.t. 101 GUTIERREZ, Alexander SEL. URUGUAY s.t. 102 WACKERMANN, Luca BARDIANI CSF s.t. 103 GADAY, Lucas LOS CASCOS ESCO - AGROPLA s.t. 104 NAVARRETE, Maximiliano SEL. ARGENTINA s.t. 105 JONES, Christopher UNITEDHEALTHCARE P.C.T. s.t. 106 FRAYRE, Eder SEL. MEXICO s.t. 107 GONZALEZ, Diego SEL. URUGUAY s.t. 108 JUÁREZ, Daniel ASOCIACION CIVIL MARDAN s.t. 110 VARGAS, Walter A. MEDELLIN - INDER s.t. 111 GADAY, Julian P. LOS CASCOS ESCO - AGROPLA s.t. 112 ARROYO, Victor ASOCIACION CIVIL MARDAN s.t. 113 MONTES, Francisco ASOCIACION CIVIL MARDAN s.t. 114 VIEL, Mattia UNIEURO TREVIGIANI-HEMU s.t. 115 VIEIRA, Luan SEL. BRASIL s.t. 116 LAMON, Francesco SEL. ITALIA s.t. 117 DE LUNA, Flavio SEL. MEXICO s.t. 118 GODOY, Yonder WILIER TRIESTINA s.t. 119 TURRIN, Alex WILIER TRIESTINA s.t. 120 ROTA, Lorenzo BARDIANI CSF s.t. 121 PARDILLA, Sergio CAJA RURAL - SEGUROS RGA s.t. 122 ATAPUMA, Jhon Darwin UAE ABU DHABI s.t. 123 CUNEGO, Damiano NIPPO - VINI FANTINI s.t. 124 AMEZQUETA, Julen WILIER TRIESTINA s.t. 125 KUBOKI, Kazushige NIPPO - VINI FANTINI s.t. 126 REIS, Rafael CAJA RURAL - SEGUROS RGA s.t. 127 SARTOR, Federico SEL. ITALIA s.t. 128 TROIA, Oliviero UAE ABU DHABI s.t. 129 BELLETTI, Manuel WILIER TRIESTINA s.t. 130 TORRES, Rodolfo ANDRONI GIOCATTOLI s.t. 131 BERNAL, Egan Arley ANDRONI GIOCATTOLI s.t. 132 VAN POPPEL, Boy TREK - SEGAFREDO s.t. 133 COLEDAN, Marco TREK - SEGAFREDO s.t. 134 JARAMILLO, Daniel A. UNITEDHEALTHCARE P.C.T. s.t. 135 ALAFACI, Eugenio TREK - SEGAFREDO s.t. 136 OYOLA, Robigzon L. MEDELLIN - INDER s.t. 137 GUARDINI, Andrea UAE ABU DHABI s.t. 138 ARREDONDO, Julian D. NIPPO - VINI FANTINI s.t. 139 PLEBANI, Davide SEL. ITALIA s.t. 140 CENGHIALTA, Riccardo UNIEURO TREVIGIANI-HEMU s.t. 141 POZZATO, Filippo WILIER TRIESTINA s.t. 142 MAGALLANES, Juan P. SEL. MEXICO s.t. 143 COSTA, Rui Alberto UAE ABU DHABI s.t. 144 BERNAL, Jaime ITALOMAT-DOGO s.t. 145 CORELLA, Rene SEL. MEXICO s.t. 146 RICHEZE, Mauro A. A.C. VIRGEN DE FATIMA s.t. 147 HAEDO, Lucas S. UNITEDHEALTHCARE P.C.T. s.t. 148 LUCERO, Héctor MUNICIPALIDAD DE POCITO s.t. 149 DRAPERI, Matteo WILIER TRIESTINA s.t. 150 ESCUELA, Ricardo A.C. VIRGEN DE FATIMA s.t. 151 CAVAGNA, Rémi QUICK - STEP FLOORS s.t. 152 RIVERA, Jose L. MUNICIPALIDAD DE POCITO s.t. 153 ANGARITA, Marvin O. EQUIPO BOLIVIA s.t. 154 CHAMORRO, Fco. Ramon SEL. ARGENTINA s.t. 155 NAVARDAUSKAS, Ramunas ELI BAHRAIN - MERIDA s.t. 156 SOAREZ D.L., Nahuel SEL. URUGUAY s.t. 157 RUFFONI, Nicola BARDIANI CSF s.t. 158 DE UDAETA, Hector MUNICIPALIDAD DE RAWSON s.t. 159 CORBALAN, Joaquin SEL. CHILE s.t. 160 HAUSEN, Rodrigo G. MUNICIPALIDAD DE RAWSON s.t. 161 PONCIANO, Edson SEL. BRASIL s.t. 3 LOPEZ, Franco G. A.C. VIRGEN DE FATIMA s.t. 6 RODRIGUEZ, Leonardo ASOCIACION CIVIL MARDAN s.t. 8 GONZÁLEZ, Pedro MUNICIPALIDAD DE POCITO s.t. 10 NIBALI, Vincenzo BAHRAIN - MERIDA s.t. 11 BOONEN, Tom QUICK - STEP FLOORS s.t. 12 BRÄNDLE, Matthias TREK - SEGAFREDO s.t. 13 RAMIREZ, Alan G. MUNICIPALIDAD DE RAWSON s.t. 14 MOLLEMA, Bauke TREK - SEGAFREDO s.t. 15 SEVILLA, Oscar M. MEDELLIN - INDER s.t. 16 TIVANI, German N. UNIEURO TREVIGIANI-HEMU s.t. 17 ALZATE, Carlos E. UNITEDHEALTHCARE P.C.T. s.t. 18 RAMOS, Duilio ASOCIACION CIVIL MARDAN s.t. 19 MANNION, Gavin UNITEDHEALTHCARE P.C.T. s.t. 20 BOARO, Manuele BAHRAIN - MERIDA s.t. 21 MONTOYA, Javier I. MEDELLIN - INDER s.t. 22 MOYANO, Enzo MUNICIPALIDAD DE POCITO s.t. 24 SAEZ, Hector CAJA RURAL - SEGUROS RGA s.t. 25 SEPULVEDA, Eduardo SEL. ARGENTIN s.t. 26 MOLINA, Juan R. SEL. ARGENTINA s.t. 27 RAVANELLI, Simone UNIEURO TREVIGIANI-HEMU s.t. 28 GAVAZZI, Francesco ANDRONI GIOCATTOLI s.t. 29 SARTASSOV, Andrei SEP-SAN JUAN s.t. 30 FRAPPORTI, Marco ANDRONI GIOCATTOLI s.t. 31 SERRY, Pieter QUICK - STEP FLOORS s.t. 32 MONTIVERO, Luciano A.C. VIRGEN DE FATIMA s.t. 33 FALON, Ezequiel E. MUNICIPALIDAD DE RAWSON s.t. 34 MULLER, Mauricio SEP-SAN JUAN s.t. 35 LASTRA, Jonathan CAJA RURAL - SEGUROS RGA s.t. 36 IBARRA, Emiliano SEP-SAN JUAN s.t. 37 CABRERA, Antonio SEL. CHILE s.t. 38 SANTAROMITA, Ivan NIPPO - VINI FANTINI s.t. 39 RAMIREZ, Brayan S. MEDELLIN - INDER s.t. 40 TRILLINI, Sebastian ITALOMAT-DOGO s.t. 41 GONZALBEZ, Iñaky ITALOMAT-DOGO s.t. 42 JUAREZ, Gabriel MUNICIPALIDAD DE POCITO s.t. 43 SIUTSOU, Kanstantsin BAHRAIN - MERIDA s.t. 44 PRADO, Ignacio SEP-SAN JUAN s.t. 45 MOLINA, Antonio CAJA RURAL - SEGUROS RGA s.t. 46 PEÑALOSA, Felipe SEL. CHILE s.t. 47 BENITO, Miguel Angel CAJA RURAL - SEGUROS RGA s.t. 48 NIEMIEC, Przemyslaw UAE ABU DHABI s.t. 49 PACINOTTI, Niccolo BARDIANI CSF s.t. 50 BRAVO, Edison SEL. CHILE s.t. 51 JAVIER, Gaston E. SEP-SAN JUAN s.t. 52 RODRIGUEZ, Willier ITALOMAT-DOGO s.t. 53 DANIEL, Gregory TREK - SEGAFREDO s.t. 54 DECLERCQ, Tim QUICK - STEP FLOORS s.t. 55 MASNADA, Fausto ANDRONI GIOCATTOLI s.t. 56 RICHEZE, Adrian A.C. VIRGEN DE FATIMA s.t. 57 GONZALEZ, Nicolas SEL. CHILE s.t. 58 DAMATIA, Luan ITALOMAT-DOGO s.t. 59 DA PAIXO, Felipe SEL. BRASIL s.t. 60 AGNOLI, Valerio BAHRAIN - MERIDA s.t. 61 PELLIZOTTI, Franco BAHRAIN - MERIDA s.t. 62 AGUIRRE, Juan M. LOS CASCOS ESCO - AGROPLA s.t. 63 ZAMORA, Daniel A.C. VIRGEN DE FATIMA s.t. 65 NARANJO, Nicolás A.C. VIRGEN DE FATIMA s.t. 66 MONTEIRO, Maicke SEL. BRASIL s.t. 67 RICHEZE, Maximiliano QUICK - STEP FLOORS s.t. 68 SAQUILAN, Alejandro ASOCIACION CIVIL MARDAN s.t. 69 CARDONA, Julian MEDELLIN - INDER s.t. 70 STACCHIOTTI, Riccardo NIPPO - VINI FANTINI s.t. 71 SIGURA, César LOS CASCOS ESCO - AGROPLA s.t. 72 ESPINDOLA, Santiago A. LOS CASCOS ESCO - AGROPLA s.t. 73 CHOLAKOV, Stanimir UNIEURO TREVIGIANI-HEMU s.t. 74 JULIO, Ricardo MUNICIPALIDAD DE POCITO s.t. 75 MAESTRI, Mirco BARDIANI CSF s.t. 76 CAMPERO, Piter EQUIPO BOLIVIA s.t. 77 AMURRIO, Carlos EQUIPO BOLIVIA s.t. 78 FERNANDEZ, Emiliano ASOCIACION CIVIL MARDAN s.t. 79 TIVANI, Gerardo M. MUNICIPALIDAD DE POCITO s.t. 80 KEOUGH, Luke UNITEDHEALTHCARE P.C.T. s.t. 82 RANGEL, Hecto H. SEL. MEXICO s.t. 83 GONZÁLEZ, Freddy EQUIPO BOLIVIA s.t. 155 NAVARDAUSKAS, Ramunas BAHRAIN - MERIDA s.t.